A popular maxim is that you should never let the perfect become the enemy of the good. In other words, just ship your dang product already. That admonishment appears to fit perfectly with Oculus VR and its much-anticipated Oculus Rift virtual reality headset. Speaking at the Web Summit 2014 in Dublin, Ireland Oculus VR CEO Brendan Iribe said the Rift's release was still "many months" away, even though the product is largely finalized, as reported by The Next Web. The problem? Iribe says traditional controllers like keyboards, mice, and standard gamepads don't really translate well to the virtual reality experience, and gesture control is still in its infancy. So it looks we'll have another holiday season with no Oculus Rifts peeking out of the stockings of well-behaved gamers. Why this matters: Oculus understandably wants to get the Rift just right. With so much interest in the company's product, Oculus VR could become the market leader in a video game revolution that will seemingly come overnight—not bad for a company that traces its roots to Kickstarter. But virtual reality is shaping up to be the next big frontier in gaming and every major player knows it. 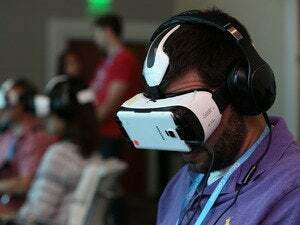 Samsung is already producing a VR accessory for the Galaxy Note 4 (admittedly with help from Oculus VR), other companies such as Microsoft (still rumored) and Sony are working on their own VR devices as well. Oculus VR has to be careful it doesn't wait too long to release its PC-focused headset. In September, Oculus released its latest prototype, dubbed Crescent Bay, and it's already amazing. For the most part, current Oculus demos—not to mention developers already working with the device—rely on standard game controllers for use with the Rift. That often ends up being the Xbox 360 controller, which is the de facto standard gamepad for PC gamers. 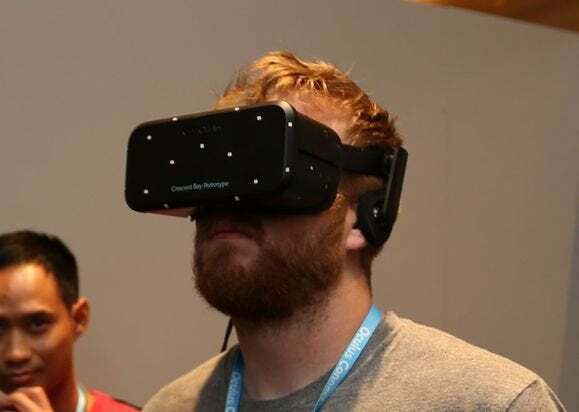 Oculus is supposed to be working on its own controller that is specifically tailored to the Rift. To that end, Oculus acquired Carbon Design in June, a company best known for creating the much-loved 360 controller. There's no doubt that for VR to finally live up to its long history of promises, it will need an appealing input device to complement the amazing experience the Rift headset provides. But people are eagerly anticipating the Rift's virtual worlds, which are mostly about the visuals. It might be better just to get the headset out there sooner rather than later and worry about delivering the perfect controller after the fact.